When educating yourself about naturally supporting your health, I venture a guess that you’ll come across mention of the “microbiome” and the importance of the health of your gut. Research looking at the health of the microbiome in relation to the symptoms and severity of endometriosis have increased, and it’s clear that they’re linked. Let’s explore the connection. There are microorganisms – bacteria, fungi, protozoa, etc. – all over and in our bodies! Did you know that? While this sounds a bit like a bad thing, it’s actually a good thing because these microorganisms make up the human body’s microbiome. Have you heard the term “microbiome”? If not, it’s important to know that we need our microbiome for so many beneficial body processes, many of which are often suppressed or out of whack when battling endometriosis. Endometriosis is an estrogen-dominant fertility health condition that creates a situation of “congestion” with excess tissue growth in the uterus, and many other areas of the body. These tissue deposits grow and bleed in response to hormonal changes – estradiol – throughout the menstrual cycle, can cause internal damage, excess inflammation, and form scars. 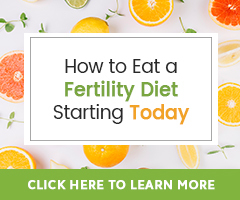 It’s believed to be both an estrogen-dominant and inflammatory fertility health issue often accompanied by suppressed immunity, pain and irregular bleeding, digestive issues, constipation, nausea, feelings of bloat or fullness in the abdomen, etc. A simplified definition of our microbiome is the collection of genetic material that makes up the bacteria, fungi, protozoa, and viruses living in and on the human body. It is the human body’s ecosystem. Our microbiome is very important to us because “The bacteria in the microbiome help digest our food, regulate our immune system, protect against other bacteria that cause disease, and produce vitamins including B vitamins B12, thiamine and riboflavin, and Vitamin K, which is needed for blood coagulation” (The Center for Ecogenetics and Environmental Health at the University of Washington). Without proper digestion, immune response, and vitamin production/synthesis, the body isn’t able to properly fight pathogens or excess inflammation and symptoms of fertility health issues like endometriosis. When battling endometriosis, it is very important to work to boost the immune system function, help quell excess inflammation, and support healthy digestion. The awesome part is that there are many natural therapies that can help! 1. Feed your microbiome. It’s a must! 2. Support a healthy inflammatory response. Systemic enzymes – Systemic enzymes support a healthy inflammatory response within the body, encourage healthy circulation, and manage healthy tissue formation throughout the reproductive system. Antioxidants – These amazing nutrients are the body’s defense system, helping neutralize free radicals in the body, reducing the harm they cause, and helping to build a strong and healthy immune system and immune response. Turmeric – This culinary herb is most notably an herbal anti-inflammatory, enhancing the body’s ability to suppress inflammation, is analgesic or pain relieving and a powerful antioxidant that has the ability to help the body fight free radicals. Chronic stress can quickly run down the body and contribute to hormonal imbalance. It takes energy away from the systems of the body we do not need to stay alive; one of them being the reproductive system. There are thankfully many activities that can help each of us manage our stress. Given it’s such a personal quest, stress management, I encourage you to refer to our guide Top 10 Mind and Body Therapies to Help With Fertility Stress. Supporting the health of the microbiome is one important part of helping the body return to health with endometriosis. 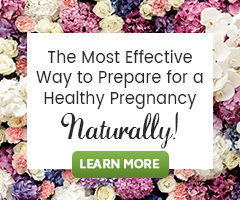 It is best to combine these tips with a complete natural fertility program as discussed in our guide 5 Steps to Reversing Endometriosis Infertility.